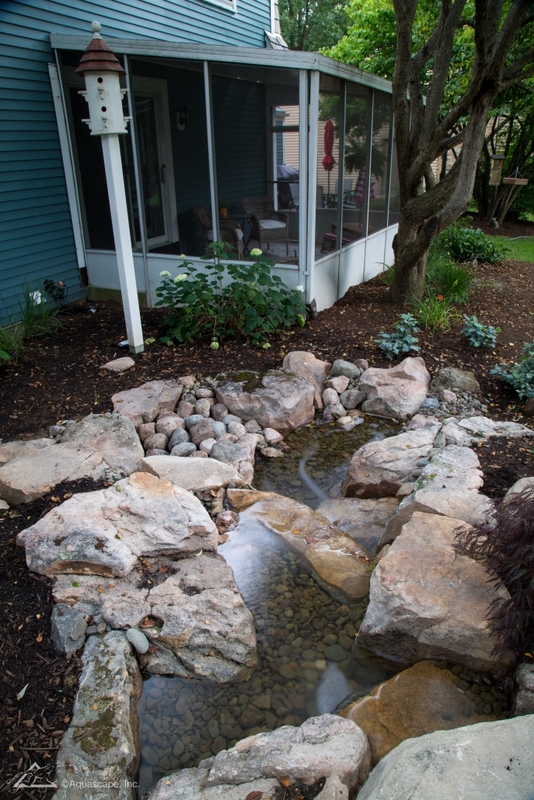 One of the best ideas for putting in a pondless waterfall in your backyard is location! 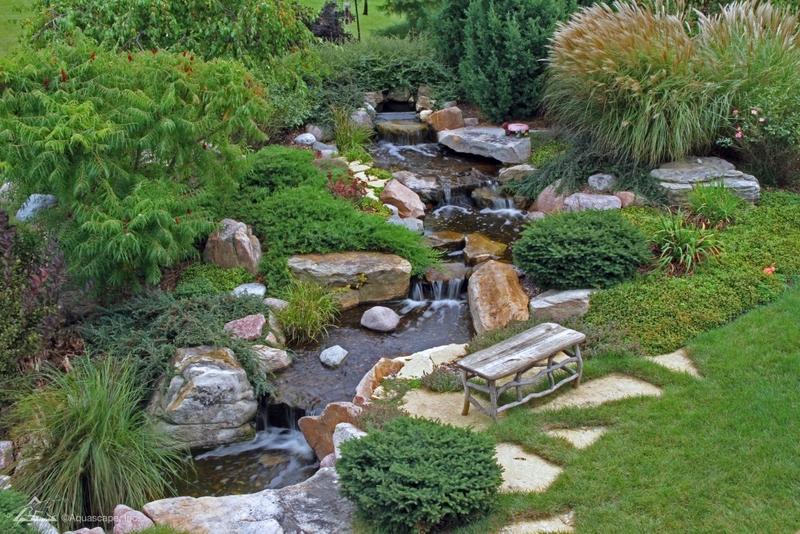 It’s great because you could have only a small part of the yard dedicated to your beautiful water feature. Consider the proximity to your home, do you want to hear the sounds of your waterfall? 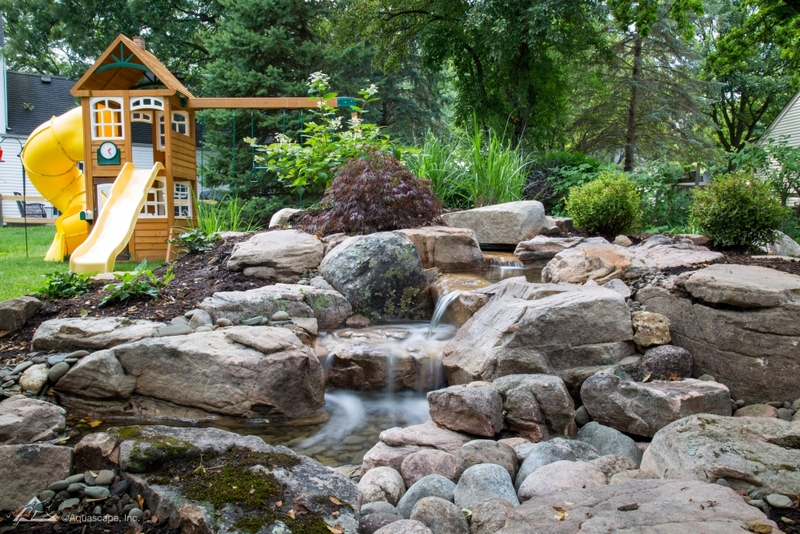 This stunning pondless waterfall idea perfectly accents this backyard and playground set. 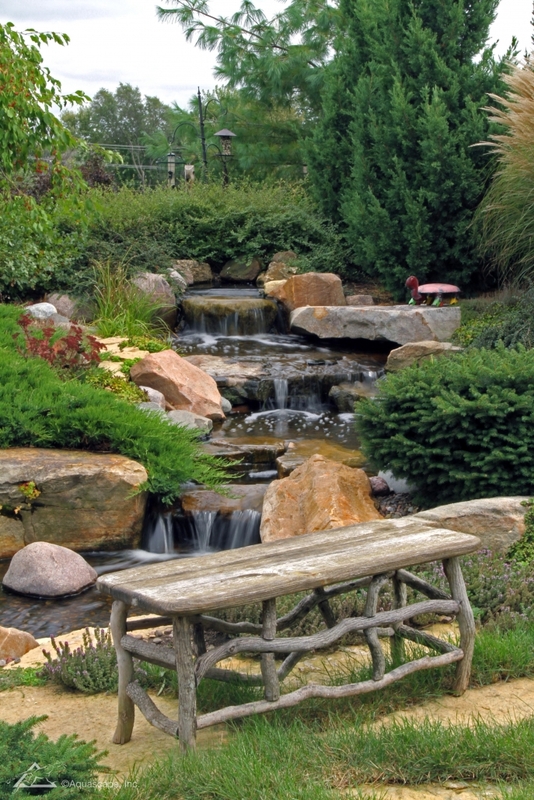 If your pondless waterfall idea involves a stream, consider placing seating close by! This is a perfect waterscape for a family dinner. 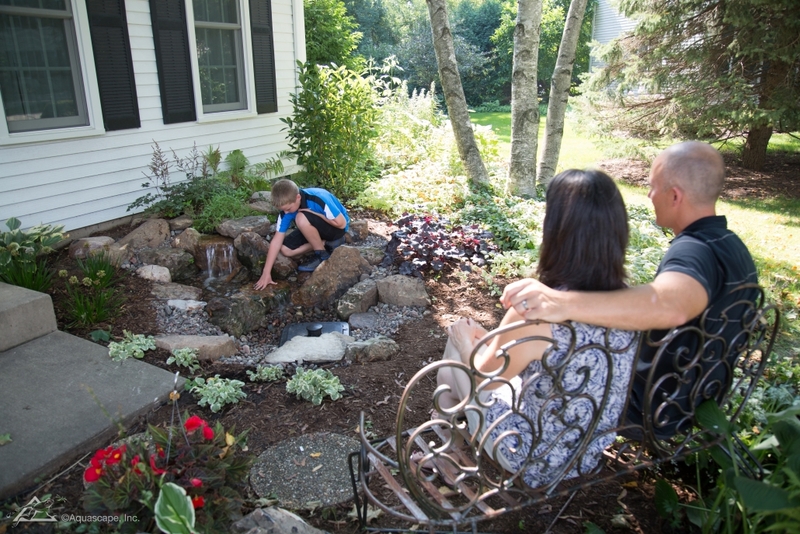 Here you can see that there is seating close by the water so their backyard water feature can be fully utilized! Notice the multiple waterfall idea placed into reality. We can design something perfect for any backyard. DIY pondless waterfall kits are a great idea and way to save on installation costs if you prefer to get your hands dirty. These Aquascape waterfall kits come in various sizes, from small to large pond kits, you’re sure to find the right one for your backyard. This does involve building your own waterfall, and it will be homemade! 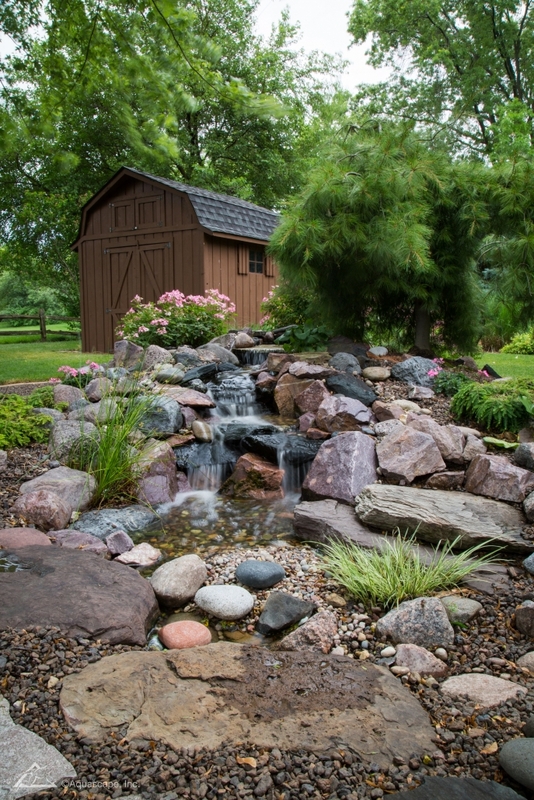 If you’re ready to build your own pondless waterfall, check out our waterfall ideas! 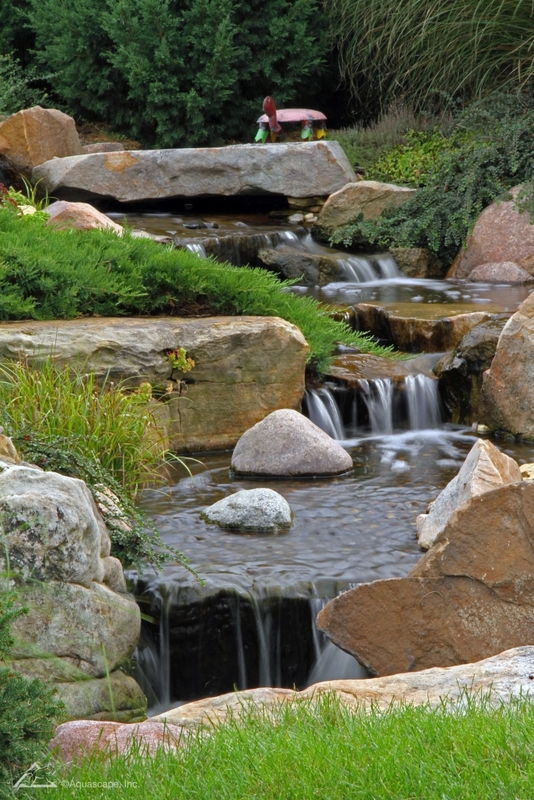 If you need help, Meyer Aquascapes offers waterfall design and installation. We’re just a ring away!